Historically we have a great concentration of engineers here in Belarus, and a good educational system for engineers. This opens a very good prospect for the Information technology sector in Belarus. In recent years we've had some success storiesin our IT sector. Viber, a well known messnger service was developed in Belarus. World of Tanks was developed in Belarus. A couple of years ago Facebook aquired a start up here. There was a deal between Google and a belarusian start up based on articial intelligence technology. So we have success stories that encouraged young entrepreneurs, engineers, to go to the High Tech sector, to do start ups, to start successful companies, And the government supports this process. The President signed a decree on digital economy and development. This document stimulates the high tech sector with tax privileges, with a tax free regime for foreign investors and professionals. And a great package of very favourable measures for developing the high technology sector in Belarus came into force. We believe that Belarus may become a regional leader in high tech and IT and become a Silicon Valley in Eastern Europe and the CIS region. 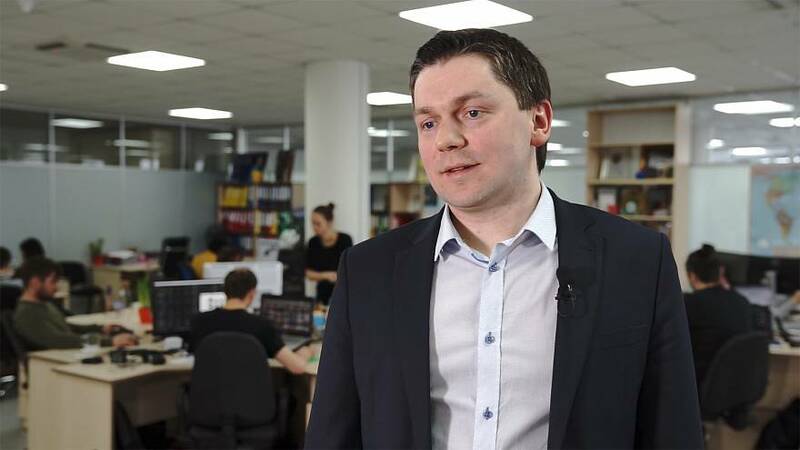 We see that some russian investors, russian IT companies and start ups see Belarus as a possible place for relocation for launching their business here because Belarus is not under western sanctions. That's crucial for It businesses. And some ukrainian teams are investigating relocation to Belarus as well. So we expect the arrival of foreign specialists, engineers, investors from the CIS countries, from Russia, Ukraine and others, not only from the West. For the last few years the revenue of the High Tech Park residents was more than one billion dollars. That's not a very significant figure for the current moment but we can see this figure multiply several times in the next 5 years or decade, and we can see that the IT sector and High tech secotr are playing a more and more significant role in the Belarus economy. The main issue is how to spread this success around all the economy and involve other sectors in digital transformation and make them more competitive on the global market. Of course for Belarus it's crucial to be independent and we realised we can be independent if we build economies that are based on human potential, intellectual potential, cutting edge technologies. itenables us to provide our economy interests, and be more independent in from natural resources that we purchase from Russia, oil and gas. The competition for talented people in Belarus is currently much lower than in Israel, Finland, or the Silicon Valley. So it's a good time to start business here because you can find the best people, the best teams, and get these privileges I mentioned before in terms of very very low corporate taxation and taxation of employees in Belarus. And overall the costs for running business here is much lower than in Berlin and Paris, in terms of renting offices, taxation, infrastructure, issues you have to solve. This is a very good place for reducing costs, for creating the same product in Belarus, Paris, Berlin or Amsterdam.